Well-maintained home on a private corner lot with mature trees and plenty of natural light. Spacious living room with a fireplace, sliding doors to the backyard, and high vaulted ceilings. This home has a beautiful country kitchen with floor to ceiling cabinets, hardwood flooring, stainless steel appliances, bar seating, and custom tile backsplash. The kitchen opens to the dining area and family room! The master suite boasts vaulted ceilings, double doors to the backyard, soaking tub, and walk-in closet. 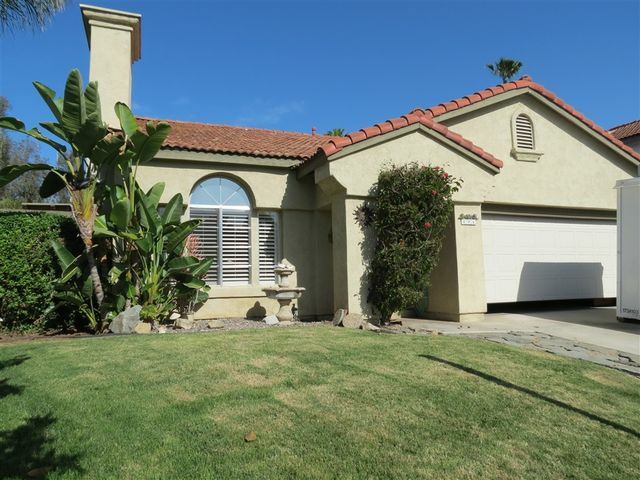 **PRICE RANGE 540K-575K** Wonderful single Level 3 bedroom, 2 bath home in the lovely gated neighborhood of Rancho Montecito (Shadowridge). Home includes: New oven/range, dishwasher, carpet and tile which matches the fire place, and designer paint, along with custom closet with enclave for the TV, skylight. Nice-sized, maintenance free yard with astroturf (no neighbors behind). Private community pool/spa. Buena Vista park nearby! Classic Vista Livin'. Great corner lot in Vista Royalodge Mobile Estates. 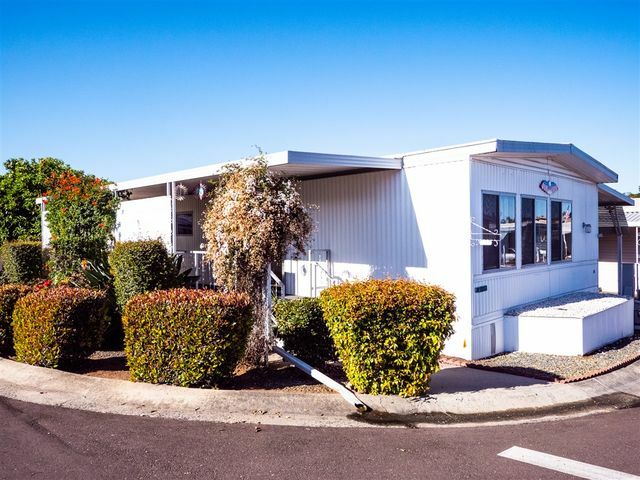 Home is flanked by a carport on one side and a large, fresh-air, open patio on the other. The park offers a pool, spa, and shuffleboard courts among other activities. 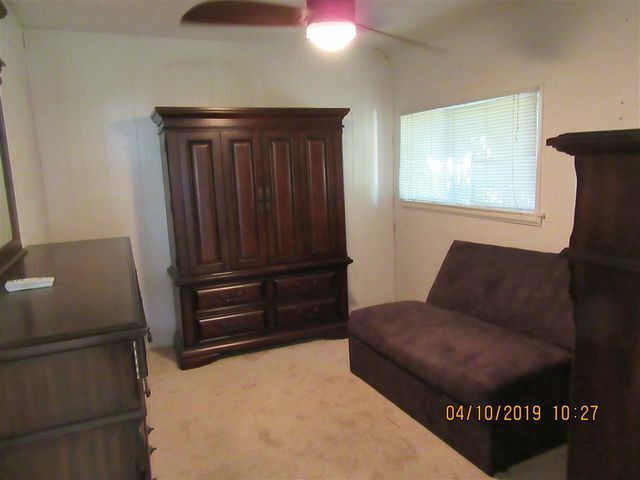 Property is clean and move-in ready. 2 bedrooms and 2 bathrooms. Conveniently located near shopping, restaurants, and close to Moonlight Amphitheater to catch a performance. Also includes 2 sheds, washer and dryer. Space rent is approx. $699/mo. Your new retreat is a traditionally built one story country home tucked away on a sheltered, sunny hill side in Bonsall. 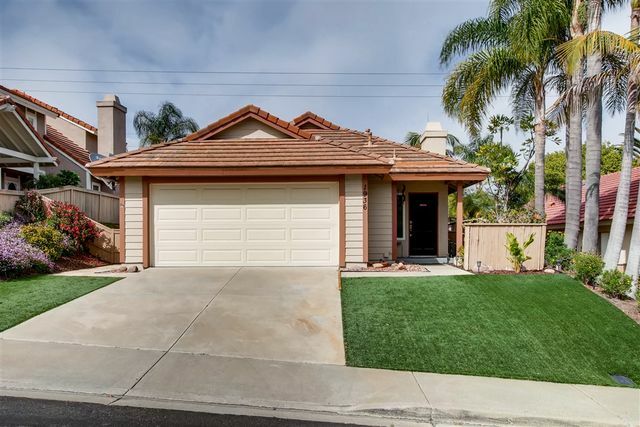 The house is set on the outskirts of the tranquil north region of Vista offering modern amenities close by without interfering with the lifestyle you have chosen for yourself. Elevated pool with a view, comfortable floor plan, and plenty of space to relax, this home is a must see! Solar is paid in full! True pride of ownership! Original Owners! Wonderful 4 BR, 3 BA , 3 car garage on fenced 10,000+ sq ft lot. Huge FR w/FP, built ins & access to private backyard & 422 sf covered patio! Kitchen w/breakfast nook and bar, more built ins & opens to both family & dining rooms. Downstairs BR. LR w/vaulted ceilings. Master features FP, remodeled bath, walk in closet & views! Plenty of room for kids to play or install your swimming pool.Home is perfect for entertaining family & friends! NO HOA. NO Mello Roos. 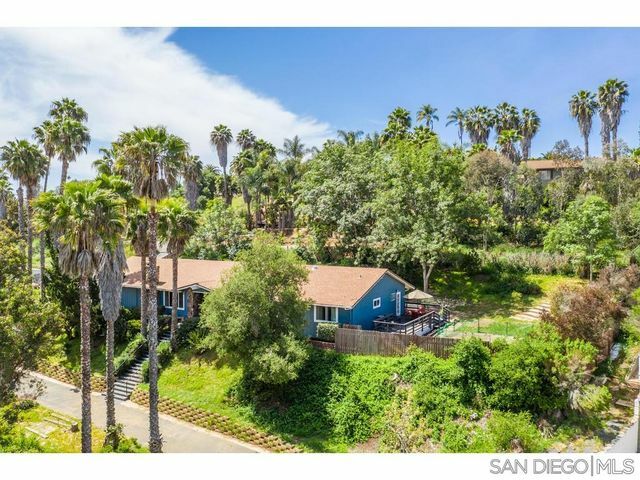 Updated 1-story home on .37 acres in desirable Sandalwood! 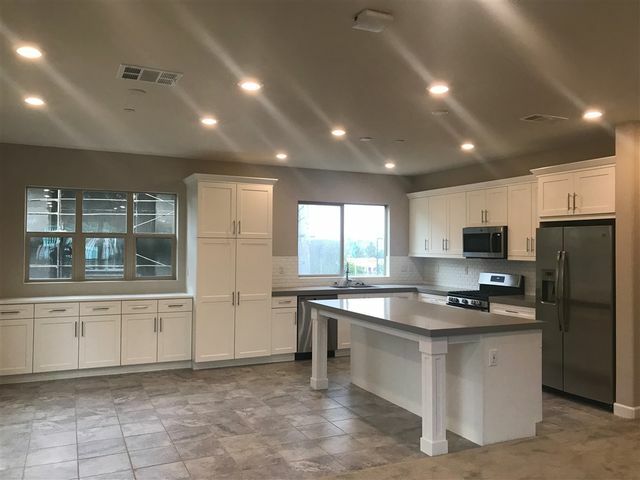 Open & bright floor plan w/brand new white cabinets & white quartz counters, new sink, tile floors, shutters, canned lighting, A/C, ceiling fans & laundry room. Entertain in the large, private backyard w/2 patios & tropical landscaping. The gated community of Sandalwood offers a pool, spa, tennis, playground & RV parking. Great location, easy access to Hwy 76, shopping, schools & more! Cute country home. Lots of land! Can access land thru the easement. Fully fenced. Walk able to Joli Ann Leichtag Elementary School. Lots of kids in neighborhood. 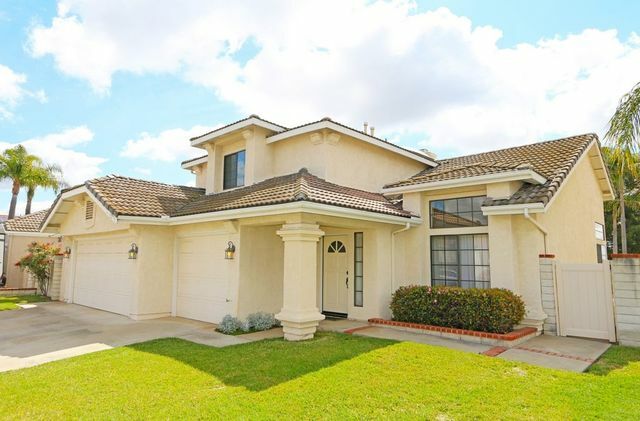 Gorgeous single story home in one of the most desirable locations in all of Vista! 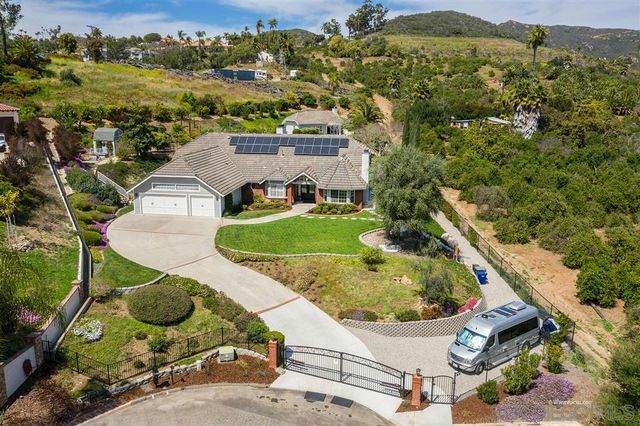 Striking curb appeal from the front, expansive 1+ acre fully fenced lot sits privately at the end of coveted Sugarbush Drive and includes a permitted ~800 sq. ft. 1 bed/1 bath guest house, 800’ well supplying water for irrigation and paid off solar that conveys with the sale! The highly upgraded interior has too much to mention here, see supplemental description for more details and move quickly, this home will not last!